Banff National Park is Located in the center of the grand Rocky Mountains in the province of Alberta, the Banff National Park gives you the chance to witness some of the most beautiful scenery of Canada. 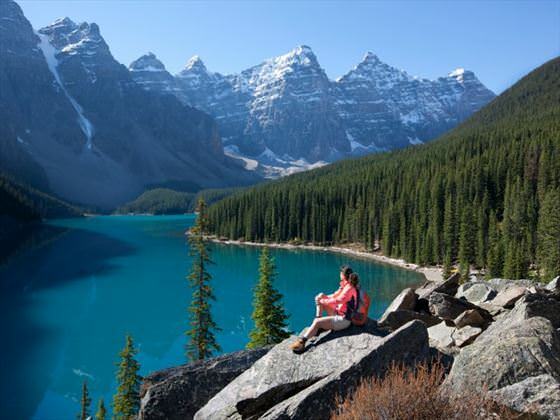 Snow-capped peaks, turquoise green lakes, and glaciers will certainly take your heart away. The most important or the beautiful part of this park is Lake Louise where the surrounding mountains get reflected in the green waters in a mesmerizing manner. 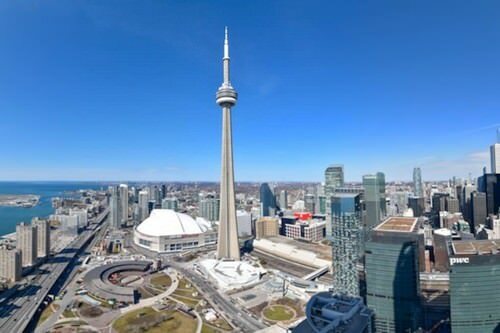 The CN Tower is the most popular landmark in Toronto and also the first tourist destination that you must visit once you are in the city. For quite a long time, the 553.33 meters high CN Tower was the tallest tower in this planet. A perfect time to visit the tower is just before sunset so that you can see the city both during daylight and also beautifully lit up by city lights at night. The most distinctive things about this tower are the glass floor, the high speed elevator, and 360 Restaurant which gives you the chance to dine in the sky. 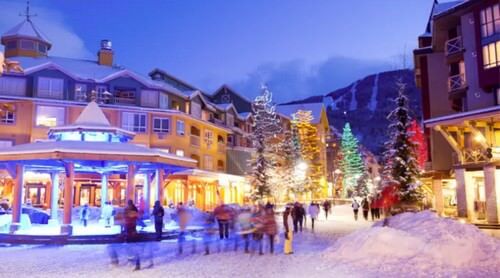 Whistler is just about a 2 hour drive from Vancouver, is a popular village and ski resort. Though Whistler has mostly been considered a winter sports area, it has even developed into a famous summer destination with mountain biking and golf and presents a great atmosphere all through the year. The area offers the best skiing, dining, hotels, and also other recreational opportunities together with breathtakingly beautiful mountain scenery. 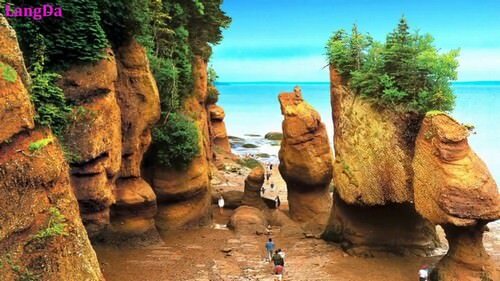 Bay of Fundy is located on the East Coast of Canada, The ideal time to visit it is between spring and summer. Bay of Fundy is one of the Canada Beautiful Places You shall get to view the highest tides in the planet, with nearly 200 billion tones of water flowing each day. It is one of the places where you can see whales which are rarely seen elsewhere, and also a place where you can enjoy canoeing and hiking. 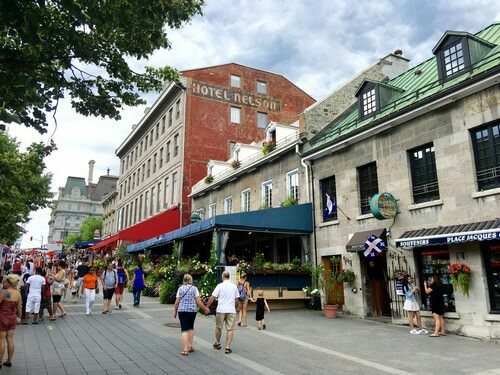 Montreal is a very vibrant city, Old Montreal is a place where tourists come to enjoy the atmosphere. The old part of Montreal with its lovely old historic buildings is a place that you must visit. This Gothic Revival house was created in 1911 and was a residence to Sir Henry Mill Pellatt. 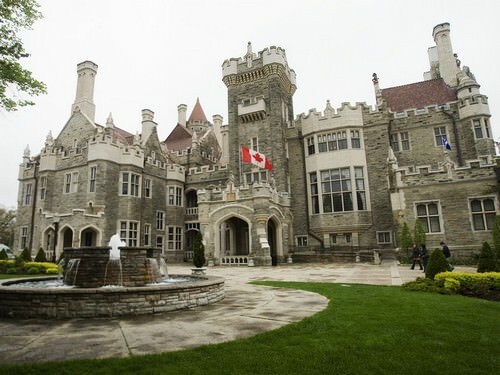 During the winter months, you will love the beautiful Christmas decorations in Casa Loma and in the summers the garden right in front of the castle will amaze you.The rooms of Casa Loma are adorned with original furniture that was used more than 100 years ago. 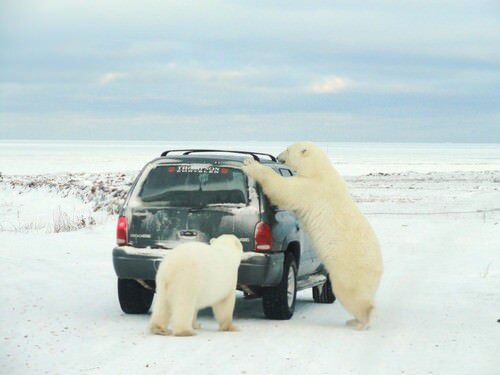 One of the most unique attractions of Canada is the beautiful polar bear migration. It helps you see these creatures move from the land out onto the ice in Hudson Bay, close to the town of Churchill (in Northern Manitoba). The best viewing time is October or November when the bears wait for the ice to get frozen before they can move out. 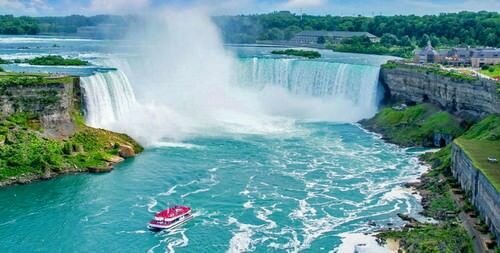 When we talk about the Canada Beautiful Places we can not forget about the Niagara Falls, Niagara Falls is the most beautiful and popular natural attractions in Canada which attract millions of visitors every year. Situated along the American border, just about an hour’s drive from Toronto, these huge falls drop nearly 57 meters. 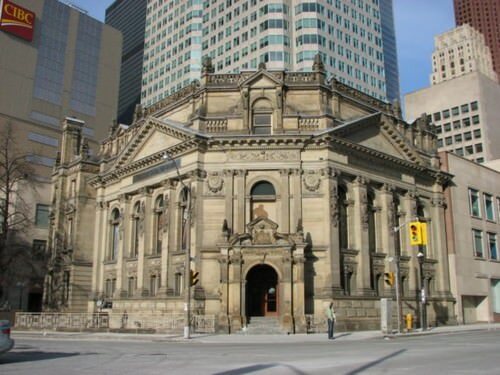 Situated in downtown Toronto, The Hockey Hall of Fame is a dedication to the history of legendary hockey and ice hockey stars. The most important part of this hall is “The Great Hall” wherein you can get to see all the important NHL trophies. The park, located on a peninsula, is surrounded by the ocean and has huge Douglas fir and red cedar trees that make the park look stunning. 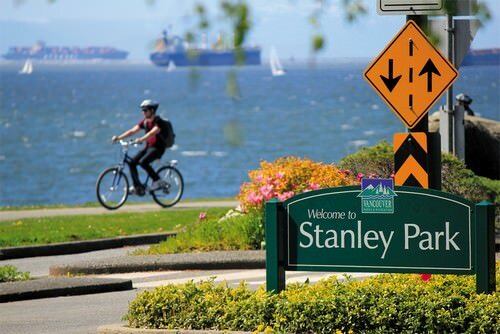 A seawall that rings the park has an extensive path for walking, biking, and jogging.